Elijsha’s Dream is a 501(c)(3) is founded on the three basic principals that underscore the motto of Atlanta Dog Trainer. The primary missions are as follows: to help dogs that are rescued by economically challenged families through scholarship funded behavior modification training with a certified professional dog trainer from Atlanta Dog Trainer, LLC. Secondary is to provide training opportunities to those special needs people who are looking for help through domestic caring of canines that are trained to help improve their quality of life. The third objective is to help veterans with PTSD, and other emotional hindrances, overcome tragic experiences and find comfort in an emotional support dog. One of the few things taught in training is how to teach their dogs to alert to noises, people in close proximity and how to clear a dark room by going in first and checking the area. We tailor each person and dog with what is best for their companionship and trustful relationship. Donors have an opportunity to give a gift through their donation that keeps on giving. As a tax free donation, they are able to save a dog’s life and in some cases, save the life of their owner as well. 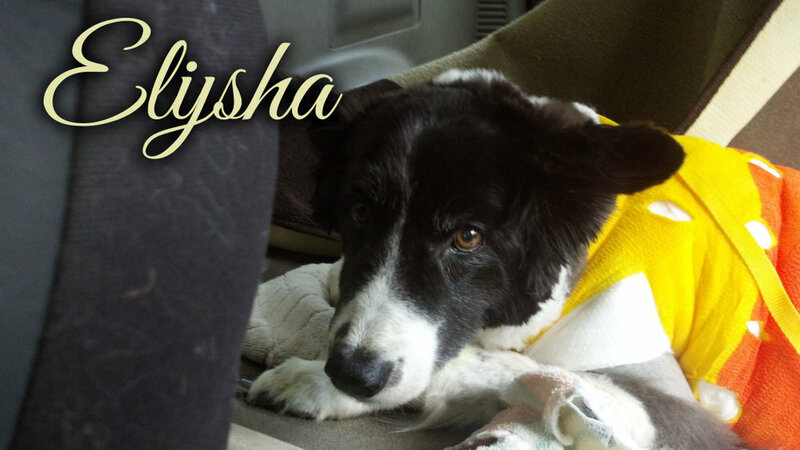 Elijsha came into Susie’s life unexpectedly as many of her other dogs have. Like the others in her personal pack, Elijsha had a hard life before she met Susie. With her owner’s help she not only recovered from the physical scars that many rescues bare, but also the emotional scars that come with it as well. What Elijsha did not know is that she helped Susie overcome some of her own fears and challenges and inspired her make her dream come true. Aga states, “Elijsha inspired me to overcome my toughest times!” Susie’s mission is to give back in the name of her inspiration, Elijsha. If you wish to donate to Elijsha’s Dream kindly make all tax free donations to “Elijsha’s Dream”. If you wish to volunteer, please contact Susie Aga at susie@atlantadogtrainer.com. Elijsha’s Dream turned Jackson & Boots Dream into Reality! “Its hard to explain. My doctor was the one that explained to me that it would help to have a dog because of my PTSD. Currently, the VA does have a program; but it is very restrictive. What that means is that they can only allow you to to have one dog,” stated Retired Army Veteran Willie Jackson. Jackson supports Elijsha’s Dream because it made his dream of a road to healing a reality!